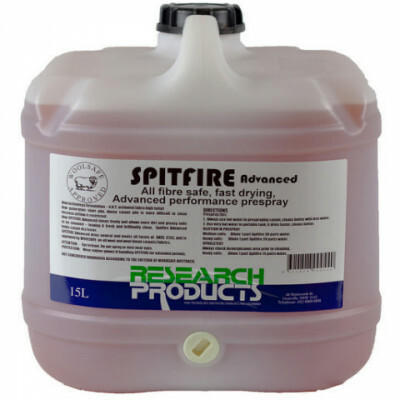 RESEARCH SPITFIRE ADVANCE CARPET PRESPRAY 15 LITRES Latest advanced generation, all-fibre safe, neutral pH carpet prespray. Works with new U.H.T. truck mounts to give improved results at high temperature and normal 60-80¶øc. Improved drying, low foaming.